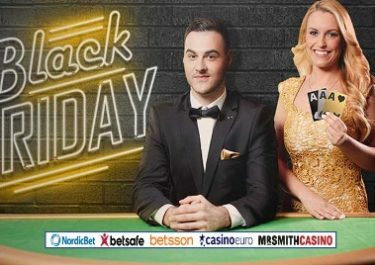 Betsson – €5,000 Daily Draw! Get in to win a share of the prize pool! Every day throughout April Betsson is giving out daily shares of €5,000 in bonuses to 50 lucky players. Simply deposit and play every day to get your tickets to the daily raffle. 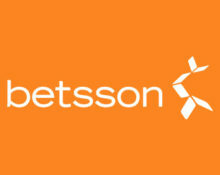 To make it even easier Betsson allows any game in the casino and live casino sections, be it on desktop or mobile. Hold on, as that is not all. Every time you deposit and play for €10, you will earn additionally a ticket to the €50,000 cash draw at the end of the month, where 10 lucky winners will get a €5,000 cash prize. Remember, the more you deposit and play, the more tickets you will have to the big draw. Exclusive for players from Norway, Sweden, Finland, Netherlands, Germany, Switzerland, Peru, Poland or Iceland. Superb promotion yet again at Betsson running throughout April 2017 which will see daily €5,000 in bonuses going to 50 lucky players and a massive €50,000 in cash at the end of the month in the Grand Prize Draw. On top there are Free Spins up for grabs on weekends. Every €10 deposited and wagered on Casino and Live Casino games will earn 1 entry into the Daily Draw and 1 entry into the Grand Monthly Draw. Tickets per player are not limited. Betsson will randomly draw every day 50 winning tickets, each receiving a €100 bonus. All prizes are credited the following working day and need to be wagered 10x subject to the Betsson Bonus Terms and Conditions. On 2nd May 2017 Betsson will randomly draw 10 winning tickets, each receiving €5,000. All prizes are credited as cash on the same day with no wagering requirements. In addition to the prize draws, if you deposit and play for €10 during the weekends, you will get 5 Free Spins on a selected game. Do this on both Saturday and Sunday to get a total of 10 Free Spins. Eligible players will be informed via Betsson Inbox message. Winnings from the Free Spins have a 35x wagering requirement.